On the walk up to the Aviva, on the Shelbourne Road before the kick-off for the Ireland vs Oman friendly fixture, the crowd were enjoying one of the last few warm evenings of the year. This game was not only a warm-up for Ireland’s World Cup qualifier against Serbia the following Monday, but a chance for Robbie Keane to finish his International career on a high note. President Higgins was present to shake hands with the players, but more importantly to thank Robbie for being “a great ambassador” for the people of Ireland. Chants of “Keano” from the South Terrace along with the signature bell ringing started the game off but it was Oman to attack first when Harry Arter chased his man all the way from one box to the next but to give away a free-kick due to a late tackle. To see Long, Keane and Walters finally play up front at the same time was a thrill to watch with so many options available. Most of the chants were for “Keano”; with one exception when “ooh ahh Paul McGrath” was chanted as soon as he was spotted by camera in the stands. The entire crowd wanted just one thing from this game, to see Robbie Keane score in his final game after doing the business for Ireland on so many occasions before. He had one great chance to score but for some reason decided not to strike when the chance was there, which may have been enough to warrant his substitution in any other game. But then the moment came, a quick-paced combination from Brady to Walters and finally to Robbie, lobbed it over him to end up volleying it home to score his 68th international goal and showcase his flawless cartwheel and somersault celebration for the last time. Half-time entertainment included videos of famous well-wishers for Robbie. These included Bono who said he was “an inspiration for his country to take chances… but to leave the ballads to us.” Other fans of Robbie who posted videos, were Brazilian legendary footballer Pelé, Steven Gerrard (ex-teammate from his Liverpool days) and singer Mary Black. 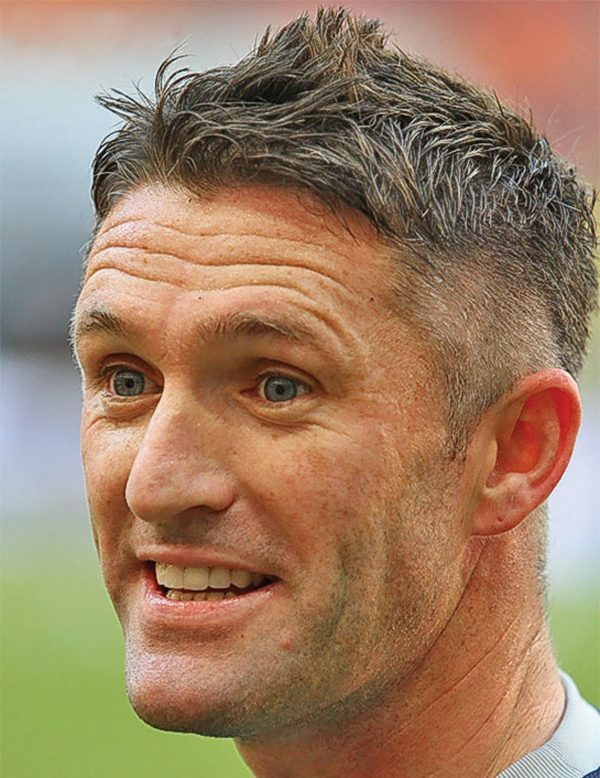 On the 56th minute, it was time for Robbie Keane to make way to a standing ovation. It was a send-off that will live in the football annuls forever. At full time he was afforded a special walk-on appearance to wave goodbye and thanks for the last time in green. Irish Manager, Martin O’Neill, was asked what he thought about Robbie’s retirement. “Someone the same age as me should move on,” came his wry reply. Keane himself said of his retirement from international football: “It was always an honour to wear the green jersey but it’s the right time,” and went on to say he is going to enjoy just being a fan watching the games with his family.